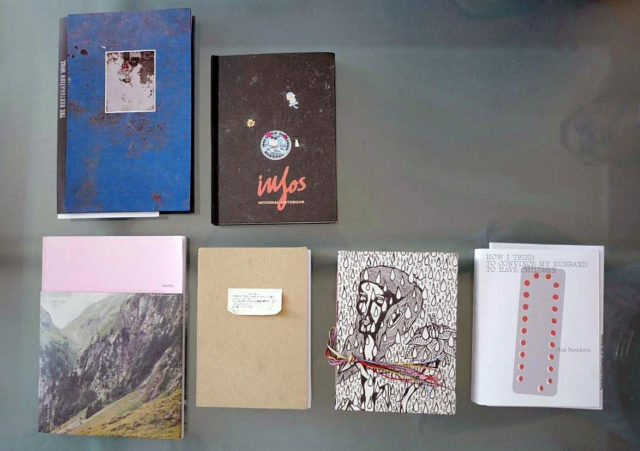 Overview of the winner books, and the shortlisted. On the occasion of Photolux Festival International Biennial of Photography 2017, PHOTOLUX, EyesOpen! and ceiba editions promote an international call for photobooks, the PhotoBoox Award 2017. The award is aimed to recognize the best unpublished projects, giving them a broad visibility and a chance for publication. All dummies will go into the Photolux archive and book collection. The shortlisted projects will be presented in a dedicated talk during the main weekend of the Festival and featured on Photolux Festival and ceiba editions websites. The winning project will be produced and published by ceiba editions, with the sponsorship of PHOTOLUX and the support of EyesOpen!, and will be presented during the Festival. In addition, EyesOpen! will feature the best projects in their print magazine! Submissions for the PhotoBoox Award 2017 are free of charge and open to all photographers or collectives, professionals and non, from all countries. Quality, originality and consistency of the project are the main criteria for inclusion in the selection. Every participant can submit only one book project. The project must be unpublished. Projects already published by a publishing house or self-published will not be included. • authorization to Photolux Festival, Eyes Open! and ceiba editions, to use the pictures submitted, electronically, and in print in the context of this competition, to document and promote this and future Festivals and competitions. *** The winner of the award will sign a regular publishing contract with ceiba editions. The edition will be published in collaboration with the artist, based on the submitted dummy. However, ceiba editions holds the pre-rogative to adapt size, shape and form to improve the project for best production and marketing purposes. The edition will be printed with the support of Grafiche dell'Artiere. NOTE: the dummies will not be returned. The jury will meet during the month of July 2017. The result of the award will be announced within July 31st, 2017. THE JURY RESERVES THE RIGHT TO NOT AWARD THE PRIZE in case that there are no submissions deemed apt for a book publication. The winning project and winner of the PhotoBoox Award 2017 will be published by ceiba editions and will be presented during Photolux Festival 2017. These are some of our dummies, now we want to see YOURS!